Lehman College Art Gallery is pleased to announce a survey exhibition of Polish-born, New York based artist Monika Weiss. 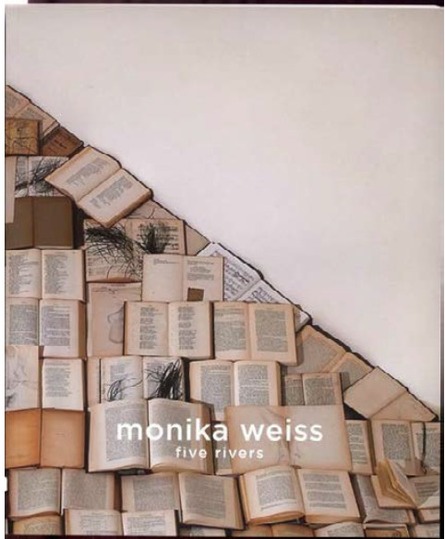 "Monika Weiss: Five Rivers" presents an overview of the artist's works created between 1999-2005 with a specific focus on new performative installations and most recent drawing series. Complex in their subtle interplay of meaning and form, Weiss' work is often site-specific, combining sculpture, live action, video projection and sound environment. During the last six years the artist has produced a large number of new works and has been widely shown in the United States and Europe. 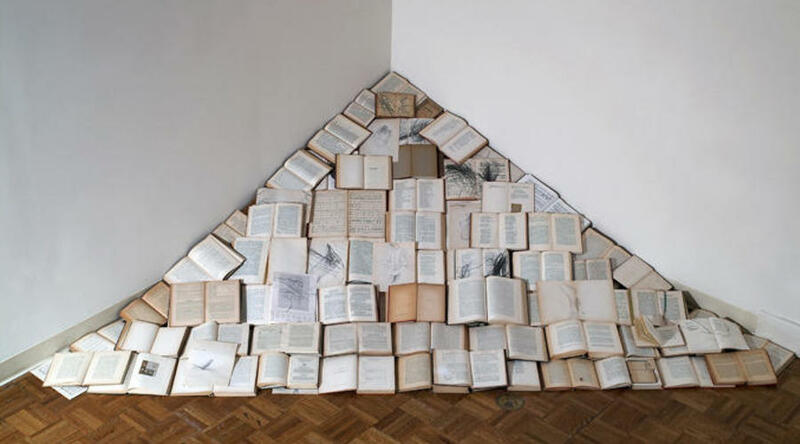 In her multi-media installations, combined with performance, Monika Weiss explores physical properties of the act of drawing, which she combines with references to the ancient and medieval symbols and concepts of the world and the human being. 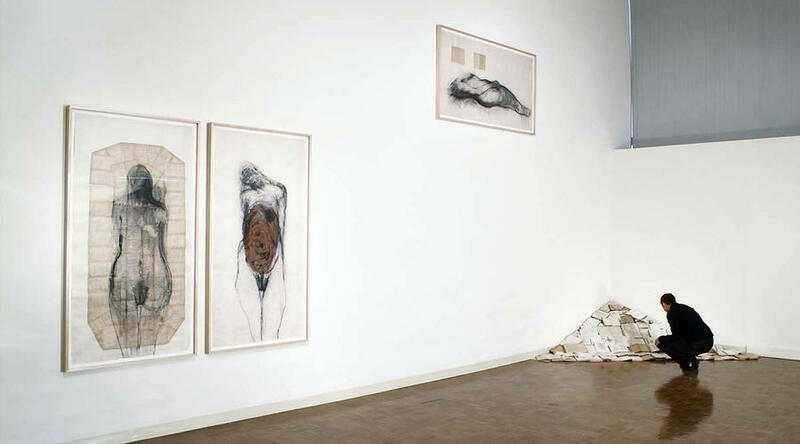 Weiss uses her own body directly in her art as both the maker and the inhabitant of the artistic object. 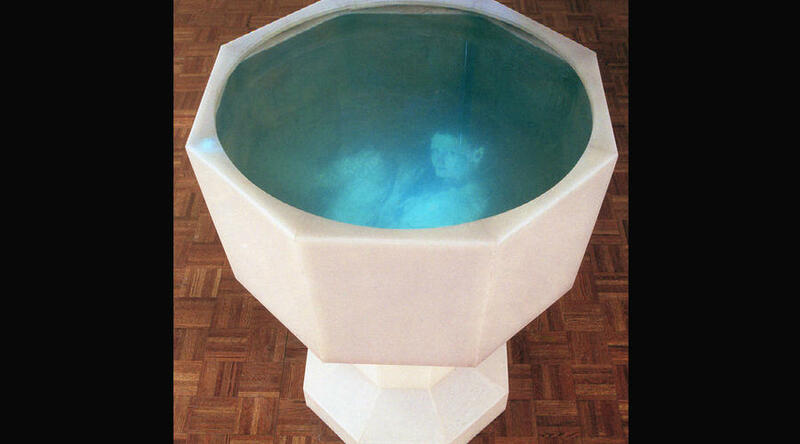 In one of Weiss' installation series Ennoia the artist immerses herself for several hours inside a water-filled chalice, while a projected image of the immersion and the underwater sounds mirror her action. In her ongoing series Intervals Weiss creates drawing landscapes that are spaces, which others may enter and fill with their own actions. In her work all formal means are subordinated to one major objective: awareness of presence and, conversely, of absenceÑin many works the artist is no longer there, leaving us with video and sound memory of her immersions and with the drawn mark. 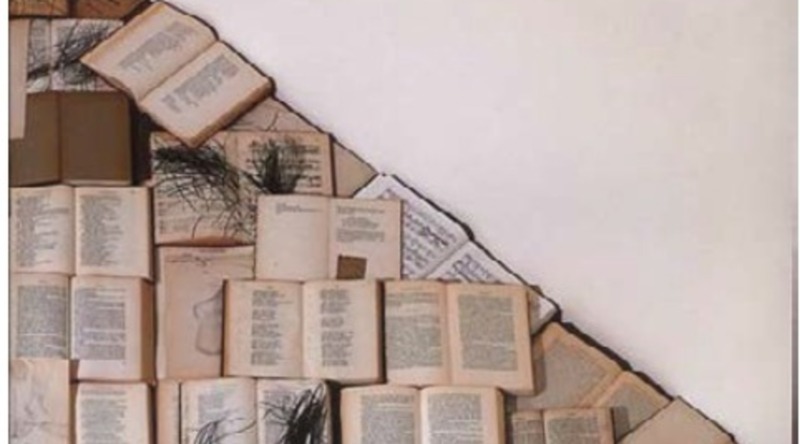 In her work the artist often demarcates the given space with materials such as paper, drawing tools, water, canvas, sculpted objects, projected video, sound environment and her own body. The exhibition title, "Five Rivers," refers to the mythological waters of the underworld through which one must pass in order to redeem their life. It is a metaphor that has for centuries served as cultural signifiers for poets, artists and composers, connoting the passage between here and there, the boundary between being and non-being. Looking through that metaphor at the artist's last several years of production, one notices the importance of fluidity, repetition and motion both as symbolic allusions and as physical phenomena. In Weiss' work this most elemental concern-being here and now, the being of the body-coincides and collapses into culture, history and language. 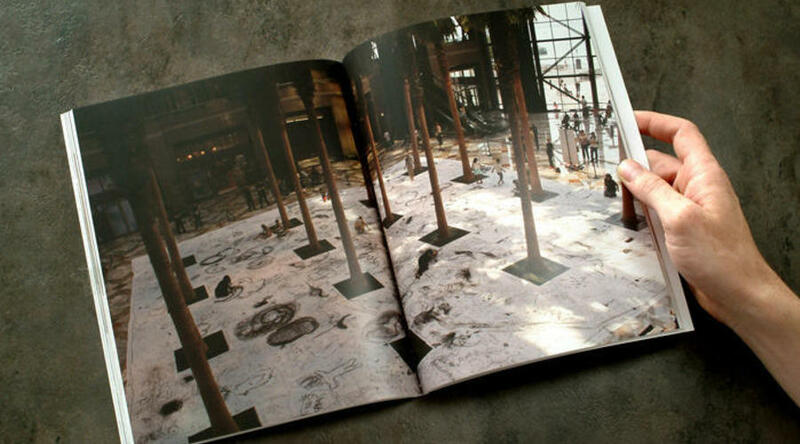 In Weiss' work language functions as drawing, speech, text, singing, composed music, and natural sounds. 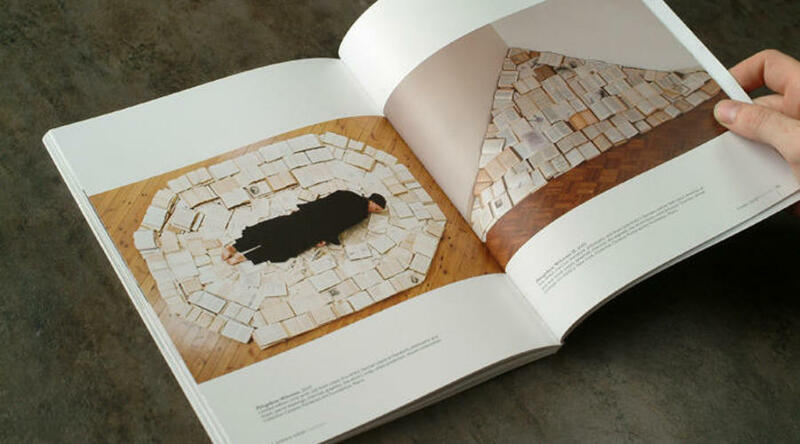 In her recent installation "Phlegethon-Milczenie" (2005), books printed before the Second World War serve as objects on which the artist crawls and draws, outlining the world around her body with her eyes purposefully closed. Like Mona Hatoum's sculptures and Ann Hamilton's installations, in Weiss' work language always exists in the context of body. 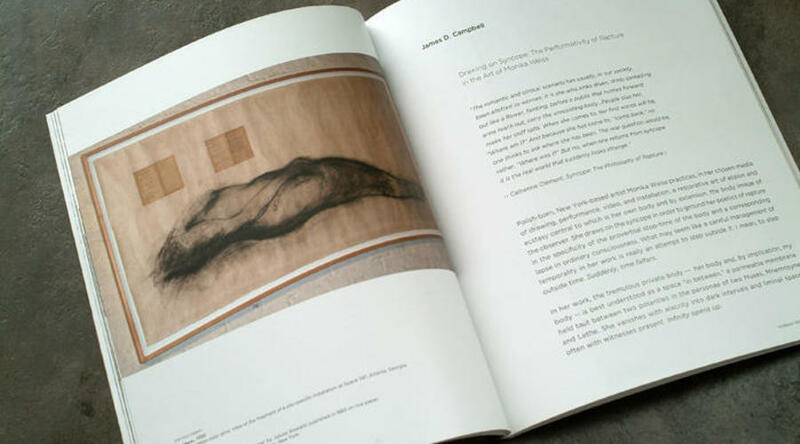 The work also addresses the concept of landscape and ground and the ontological tension between the body and the surfaces of skin and earth alike. In Weiss' videos she captures her own action from an aerial viewpoint. As in Ana Mendieta's "Siloueta" series, one finds an almost obsessive return of the generic female silhouette in Weiss' drawings, performances and videos. 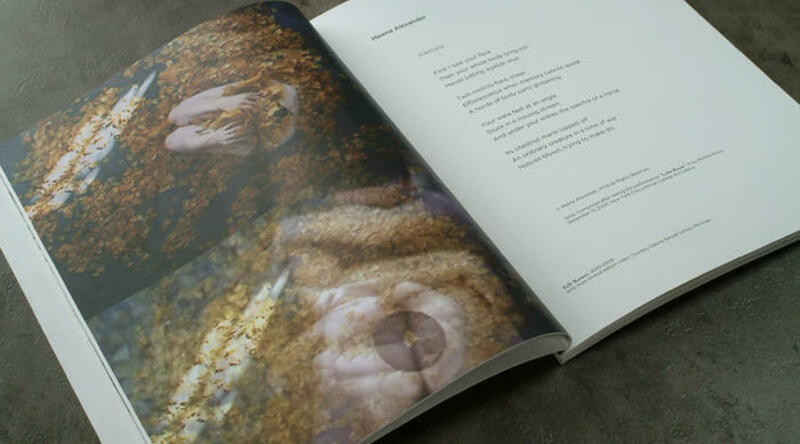 Weiss' projects bring the issue of her body, and by extension, of our body, towards the ambiguous territory of the semantics of abstraction, through the poetic play of trace, absence, repetition and cultural signification. Originally trained as a classical musician, early in her life Weiss was profoundly inspired by the notion of music as representing lament and melancholy, specifically in Thomas Mann's "Doctor Faustus." 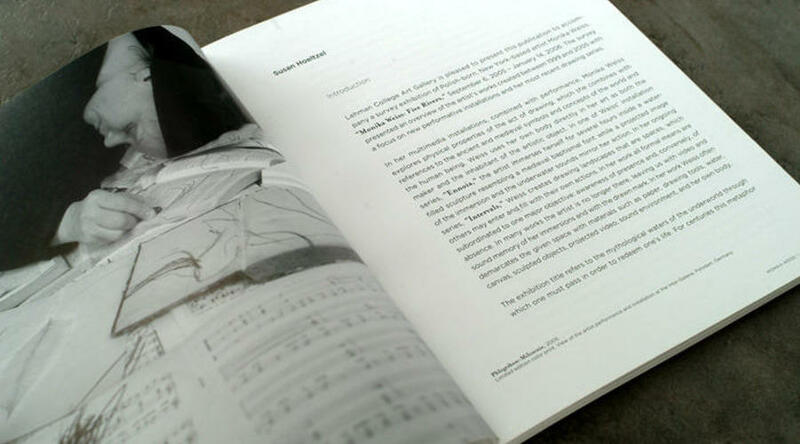 "River of Lamentation" (2005), an installation created specifically for the Lehman College Art Gallery, includes a collaboration with the soprano vocalist Anthony Roth Costanzo. We literally immerse our bodies in the currents of this sound environment, the installation that takes over the entire room, leaving us with no choice but to cross its space in order to get to the rest of the exhibition. 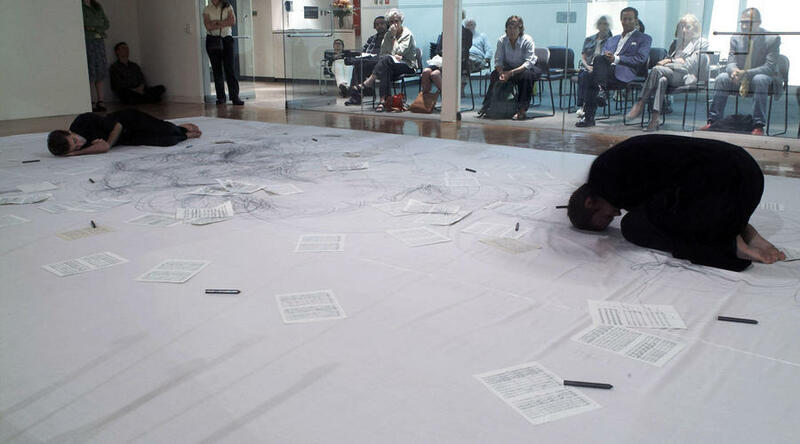 Transgression and passage between drawing, music and sculpture is also reflected in the live performance of the River of Lamentation (on Thursday, September 15 at 6pm), when an opera vocalist lies on the ground, like the artist, as she draws around her curled-up figure. The vocalist continually sings fragments of classical vocal compositions, which have to do with lament, sorrow and sense of loss. 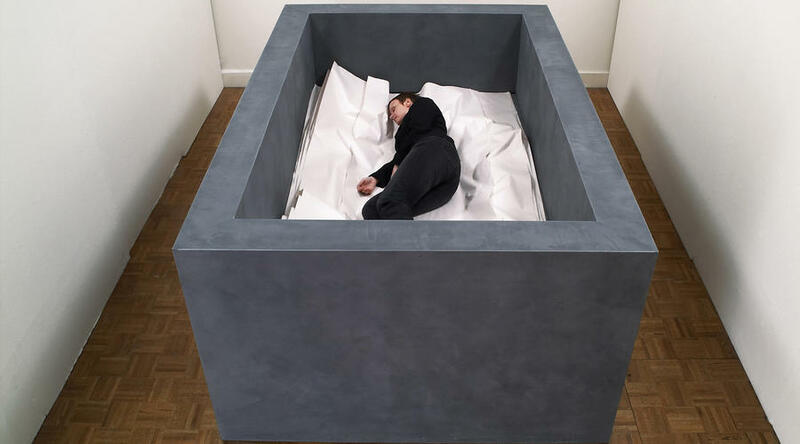 The motif of music translated into sculpture comes back in the installation "Lethe Room" (2004) where a sculpted structure looking like a stone tomb reveals a fragile interior, which moves gently up and down as if breathing. Weiss designed the movement according to the rhythm of the fragment of music by Hildegard von Bingen. 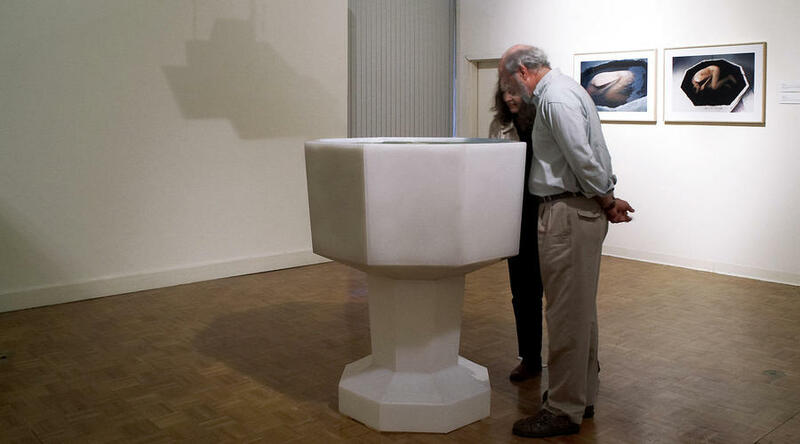 Also included in the exhibition is "White Chalice (Ennoia)" (2004), a sculpture in which a projected video. 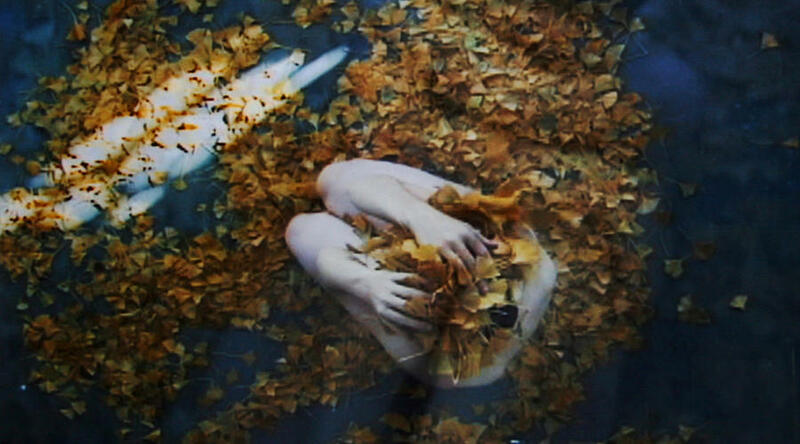 image of the artist's curled up body looks at us through the surface of water. 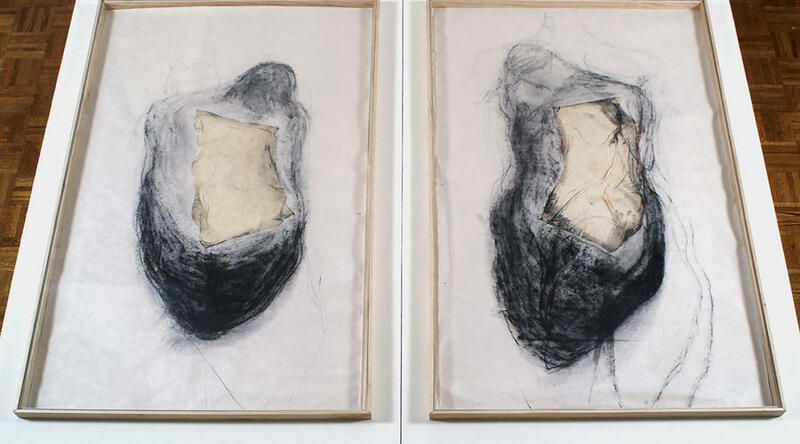 Two series of drawings executed on pages from old books and on rice paper, "Kordyan" (2005) and "Milk Series" (2001), represent abstracted human figures, mostly female, in states of suspension. 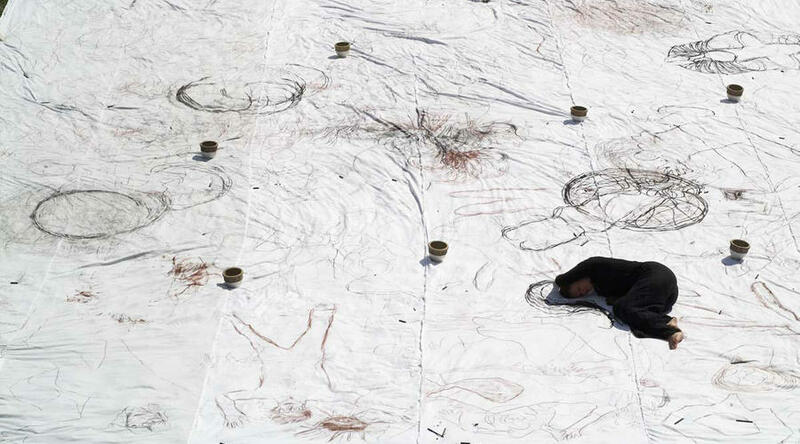 Based on an earlier performance, "Drawing the City (Day One, Day Two)" (2004) presents an aerial view of a two-day action in which the artist drew around her body on a large-scale white canvas placed on a street. Pedestrians gradually join her in the process, leaving the mark of their presence. On September 28 and 29 a two-day ephemeral installation Leukos will take place on the main campus of Lehman College. The public is invited to join the artist in the space of the installation. Still from video and sound, 2 min. 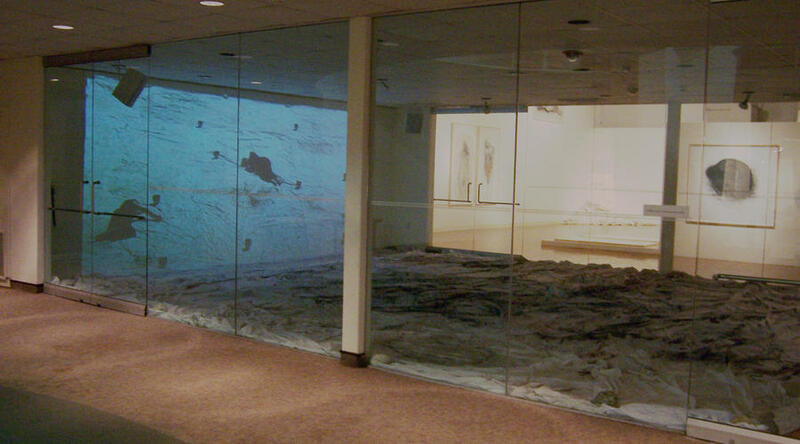 Polypropylene, fiberglass, water, projected video, sound composition. 42 x 42 x 51 in.